The Melbourne CBD from the rooftop of the Metro North Youth Hostel. I had a terrific time in Canberra with our students. Canberra is the federal capital of Australia. Similar to Washington, DC, Canberra was a planned city designed from scratch to be the capital. Australia's independence didn't come until the first decade of the 1900s so planning for Canberra only followed after that. Australians had understood that there was no way to settle the rivalry between Sydney and Melbourne for becoming the seat of government, and the other states didn't want either city to be the capital. So a large piece of land between Melbourne and Sydney in the state of New South Wales was set aside as the Australian Capital Territory (like the District of Columbia) and the city was named Canberra (aboriginal for "gathering place"). View a map of Canberra here. Australians based their constitution on an interesting mix of the British and US government systems (see comparison to US here). They operate with a parliamentary system including a prime minister who leads government as the head of the majority party (he's not directly elected by the people). The Parliament is split into two houses - the Senate and the House of Representatives. Like in the US, the Senate represents each of the six states equally (12 senators from each state), whilst the number of representatives in the House of Representatives is based on population with New South Wales (Sydney) and Victoria (Melbourne) getting the most votes. Like in the US, bills must be passed by both houses before being signed by the governor general. Parliament first met in Canberra in 1927, and at that time it was still a very sleepy little town with just a few buildings including what is now called the Old Parliament House. The new Parliament House was completed just in 1988. It's an impressive complex that was built into the top of a hill ("Capitol Hill") with a wing for each House of Parliament. Grass grows on the slopes of four corners leading up to the very top on which you can walk and see the rest of the beautiful city (see my panoramic photo). For more about Parliament House, check out this excellent web page from the Parliamentary Education Office. Throughout it's development over the last century, Canberra has kept it's park-like atmosphere. It's like a scenic national forest in the foothills with government buildings spread out in a way that preserves the trees and the open feeling. Some of our students said it felt more like a campus than a city. The original design intended for Canberra to be inhabited by a million people, but only about 250,000 live there so far. It has a very laid back feeling with a 15-minute peak hour (rush hour). The government and civic areas of the city are separated by Lake Burley Griffin which was formed by a dam only in 1967. Walter Burley Griffin was the name of the American who designed the city. Our time in Canberra was very similar to the student tours to Washington, DC that I've led. We toured Parliament House, the High Court, the National Gallery of Art, the National Museum of Australia, the War Memorial and museum, Telstra Tower, the Australian Institute of Sport, among others. During the boys' and Tim's school holiday, I continued to work 3 days a week. However, to make sure I did enough relaxing, I put together a puzzle. It took me over 2 weeks to complete. It had very pretty colors in it. Isn't it cute! We knew this was coming, but now it's here. Peter dealing with the pains of his new braces (and we're dealing with the pains of the monthly payments!). The orthodontist has been doing the precursory stuff for the last year including pulling some teeth. Peter's had the braces in place for a week now, so the pain is slowly decreasing, but he was still challenged to tolerate it when eating a tuna sandwich tonight. While we're on the topic of the boys, here's a picture of the 3 of them in their Aussie cricket shirts. (The biggest series of cricket matches of the year - "The Ashes" - are being played right now between the Aussies and the English.) Peter is now taller than Mum. All three boys are signed up for the baseball season which begins in September, but we're concerned there won't be enough guys for Peter's under-17 team. Karl chums with his good friend, Connor, which I think is the reason he's got the most detectable Aussie accent slipping in. Dane is serious about his Year 4 studies and loves to do research and writing. He just presented to his class about the tiniest island nation in the world - Nauru. We were early enough to drive the Great Eastern Highway all the way up to the starting point of the race at Northam. As we arrived at sunrise (7am), we headed up to a scenic lookout to watch the hot air balloons. Northam is known as THE place in WA for ballooning. It was a beautiful view of the sunrise and the morning fog across the WA's "wheatbelt". The Avon Descent is a national and international event, with strong competition often coming from South Africa. This year there were 875 competitors including about 50 power boats and the rest in single or double kayaks or surf skis. The conditions were possibly the best ever, the experts said, as the river was running high and the weather was ideal for a late winter weekend. They estimate that over 100,000 spectators watched the race over the weekend. Read the news stories here and here. We positioned ourselves about 200 metres downriver from the starting line, just below the Northam weir. (A "weir" is the common name here for a dam.) The power boats were sent off first in pairs of boats. From our position, we watched them race to get over the chute and down into the whitewater below. Then the kayaks and surf skis followed. Often there were a dozen of these blokes trying to hit the chute at the same time creating havoc at the bottom. Plenty of fun to watch. It was just a gorgeous winter morning with no wind, blue skies and temps around 10°C (50°F). At the encouragement of our head of the middle school, Shane, I've been working on and off for the past month developing ideas for using iPod touch handheld devices in classrooms. Rather exciting and fun to think about. Shane went out to the shops the day before I left on the Canberra trip to buy an iPod touch for me, so I was well-entertained on the flights and bus trips. What's an iPod touch? It's like a computer that fits in your hand with a glass touchscreen that you navigate by using different types of touches and swipes with your fingers. It plays music and videos, but you also can load it up with quite a variety of applications that we could use in a classroom for word processing, interactive lessons, quizzes, etc. Best of all, the iPod touch connects to wireless networks so you can use it to surf the internet and check your email. My iPod touch holds 32 GB of stuff which is amazingly about 1/4 of what my laptop stores. We'd probably get the 8 GB version for students. View Apple's Guided Tour (click on "small" if you have a slower internet connection). We're not sure where we're heading with this. I'm the scout checking out the possibilities. It's to be determined whether we get a class quantity or two that we share around the middle school, or go all out and get one for every one of the 350 middle school students for them to take to and from school. I've created a mobile-friendly website at http://ipd.wirenode.mobi where I'm posting some of the things I'm working on for the iPod touches. You can check that link out, but it works best from a mobile device (it's formatted for the small mobile screens). Some Minnesotans have a little different take on the Global Warming thing. I found this courtesy of the Powerline blog. Down here, "esky" is the generic term for a cooler (portable device for keeping stubbies cold). The term came from the popular Aussie brand of coolers "Esky". The news is that the Esky brand is coming to America. Esky's parent company, Nylex, has collapsed leaving this Aussie icon's future in limbo until the Coleman camping supply company snatched it up with hopes of bringing the Esky to America. Read about it in the story from the Sydney Morning Herald. Last month while in Melbourne with our students, we were thrilled to attend an AFL footy game (Australian Rules Football). And it was a definitely a huge thrill. The match was between the Western Bulldogs and Collingwood Magpies, both of them Melbourne teams who were #3 and #4 in the competition ladder at the time (out of 16 teams). The game was at a sold-out Etihad Stadium which is a retractable-roof stadium in downtown Melbourne that seats a little over 50,000 for footy. It was the biggest crowd ever for a Bulldogs home match. Collingwood is often compared to the New York Yankees of baseball as they have the largest fan base and deep pockets, and you either love them or hate them. The Magpies dominated the first 3 terms of the game, leading by 41. But the Bulldogs stormed back in the 4th quarter to fall just one point short at the end. I think the final was 110-109. It was amazing to see the size of a top-level footy oval. To try to translate this, I've drawn the approximate size of an NFL football field over the top of a photo I took at Etihad Stadium. The footy boundaries follow the oval all the way up to the edge of the seats. (The teams were huddling on the field between quarters when I took this photo.) 18 players from each side run the field at one time (trying to kick the footy between the middle goal posts) with minimal substitutions. Players often run up to 15 km in a game. With the game being played on such a big scale, our nose-bleed seats 5 rows from the top actually offered a descent view of the action. There weren't any live cameras covering it, although I'm sure the students I was with can replay it pretty well in their minds. It probably looked a little like the drawing above which I drew on my iPod touch whilst staying home for a day from school. I was doing my weekly Wednesday afterschool bicycle training with kids from our college's Pedal Prix racing team. We go for rides along the beach near our house and school. Next week we're taking almost 60 kids on a bus ride 1,700 miles east of here to South Australia to compete in an international 24-hour bicycle race. We'll have 4 teams competing (4 bikes... kids rotate driving them around a 2.15 km course). Anyway, I wasn't paying attention and hit a curb. The bike stopped. I didn't. Glad I had a helmet on. Besides abrasions and bruises on various body parts, I had a pretty sore shoulder. 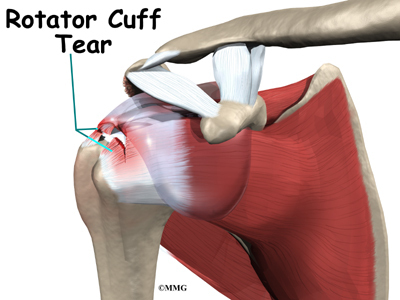 After 8 days of pain and not much sleep, I finally went to the ED (emergency department at hospital) where they told me I have a torn rotator cuff in my shoulder. After a weekend of codeine knocked me out pretty good, I'm now waiting for a second appointment with my physiotherapist to tell me what rehab I'll be doing for the next weeks. Just another adventure in life. I'm leaving with our Living Waters Lutheran College Pedal Prix racing team later today. This is a group of 50+ Year 7-10 students who will be competing in teams in an international 24-hour race with our college's four 3-wheel recumbent cycles. We leave on a bus on Tuesday afternoon to drive 1,700 miles east, arriving in Adelaide, South Australia about 32 hours later on Thursday morning. The bus will take us across the barren Nullarbor Plain on one of the longest straight sections of road in the world. The race is from Saturday noon to Sunday noon. I'll fly back home Sunday night. You can catch news updates, photos and videos (maybe?) from our Pedal Prix website. The slideshow below shows our 4 cycles going through their final paces in a training session on-campus last week. We've returned from our 5-day holiday to Kalbarri, Western Australia, with Lanette's Mom and Dad. It was a great experience to see the incredible natural landscapes of the Indian Ocean coast and, particularly, the Kalbarri National Park. It's spring here so the wildflowers that WA is known for were in season. Lanette's parents flew into Perth for their holiday with us just a couple of days after I returned from my trip east with students to the Pedal Prix race. I hadn't had a chance to post anything about the Pedal Prix trip on this site... until now. I had an awesome time with our 57 students who went 1,700 miles east of here to Murray Bridge, South Australia, to race our college's human-powered-vehicles in a big-time international 24-hour race. The 36-hour bus ride over went very well. While it rained most of the way across the desolate Nullarbor Plain, we did stop for a great view of the whales in the Southern Ocean. We had a quick stop for sightseeing in Adelaide before heading another 1 and a half east to the race site. We housed our whole group on 7 houseboats on the Murray River right next to the race course. 229 vehicles competed in the race which went from 12 noon to 12 noon. It's an incredible site to see these 3-wheel recumbent bikes going around the 2.15 km track. The teams included elite, top-class adult teams down to Year 7 students - all racing on the same track at the same time. Our kids did well in their categories. You can read and watch more from the race at the web site I used during the trip at http://tjschu.com/pedalprix.